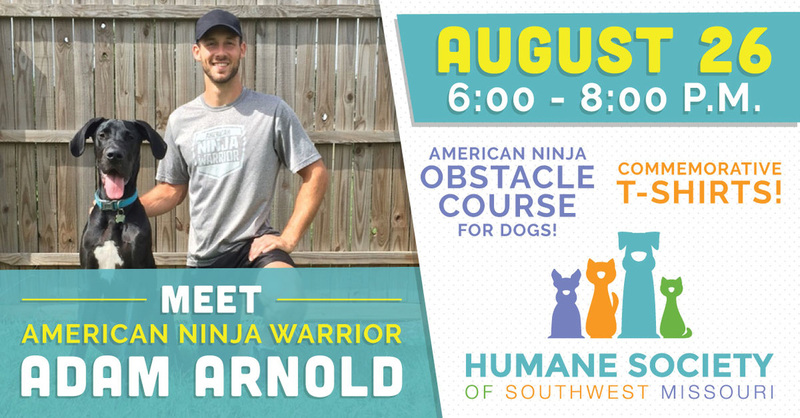 Details: Join us at the Humane Society of Southwest Missouri to meet American Ninja Warrior & Springfield Native, Adam Arnold! Enjoy some refreshments and watch as our very own pups try out their American Ninja skills on Sidekick Dog Training's obstacle course! You can even go home with a souvenir t-shirt!